To provide the industry’s most innovative Transportation Management Software through technology and dedication, thereby helping businesses efficiently manage their supply chain. 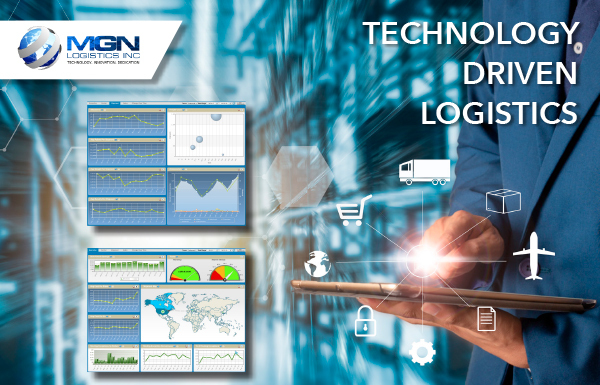 MGN Logistics is a leading provider of IT solutions for the freight management and transportation industry. Their Transportation Management Software or TMS platform has been the backbone of some of the country’s largest 3PLs for many years. Now, this innovative technology is being made available to individual companies to assist in improving operational efficiencies. MGN’s cloud-based TMS supports all modes of transportation including Truckload, LTL, Ocean, Air, Rail, Intermodal and Parcel, providing customers with a powerful, yet easy-to-use, single platform for their entire supply chain. An early pioneer of web-based transportation management solutions, MGN’s innovative and proprietary TMS was designed by transportation professionals with real-world experience. Whether you are looking for a simple rate comparison or a complex, fully managed supply chain solution, MGN Logistics’ state-of-the-art, NextGen platform has what you need. Their cloud-based TMS offers seamless integration into existing Enterprise Resource Planning (ERP) and Warehouse Management Systems (WMS) or can be implemented as a stand-alone solution. Services include mode and carrier selection, rate optimization, automated tracking and tracing, including GPS, freight bill auditing and payment, along with business intelligence, blockchain, artificial intelligence and sophisticated analytical tools. Are you tired of hearing about other companies’ supply chain successes? Then join the growing number of businesses that are now taking control of their transportation spends. MGN Logistics has been recognized by Inc. magazine, five years in a row as one of the country’s fastest growing private companies. Find out why some of the best industry professionals in the business have turned to MGN Logistics for their TMS solution.